When I first came upon Limetown, it was in a list of top horror podcasts. While a little hard to pin down into a genre, it didn't disappoint. There are elements of sci-fi and horror mixed with conspiracy on epic levels. This prequel helps draw you into the deeper mysteries involved in how everyone ended up where they are when the podcast starts, and it prepares you for Season 2 perfectly. Zack Akers is the cocreator (with Skip Bronkie) of the podcast Limetown and the Two-Up podcast channel. He graduated from Tisch School of the Arts in 2008 with degrees in Film & Television and became a documentary producer with Flagstaff Films whose work has appeared on HBO, ESPN, CBS, and NBC. 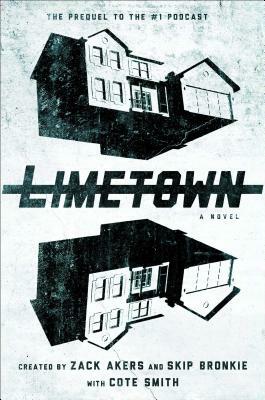 Limetown (written with Cote Smith) is his first novel. Skip Bronkie was raised on a farm outside of Buffalo, NY. He graduated from Tisch School of the Arts in 2008 with a degree in Film & Television and worked as a creative director at Facebook and Pinterest. He went on to cofound Two-Up with Zack Akers, producing Limetown and 36 Questions. He lives in Brooklyn and can be found in Prospect Park any given day.